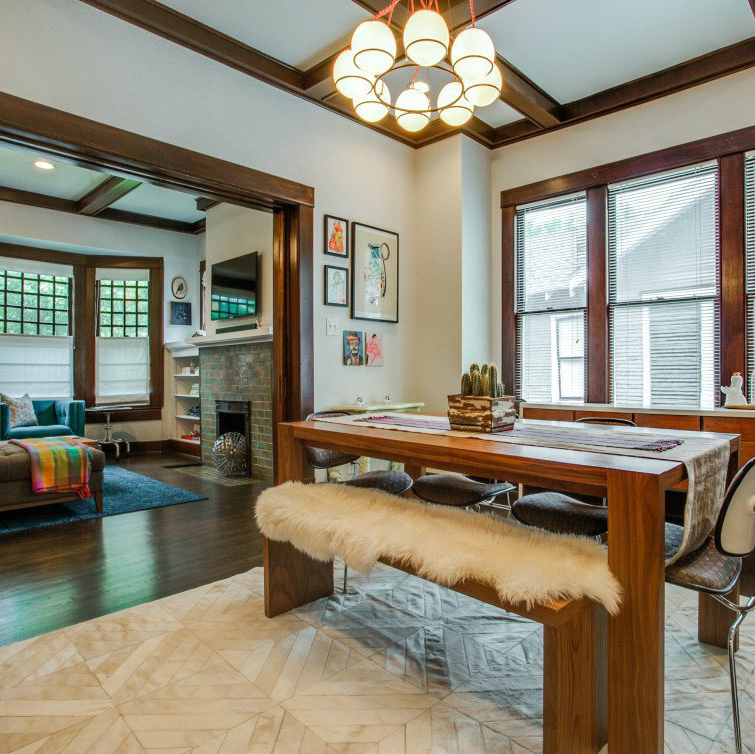 Once upon a time, a clever architect and a talented interior designer bought a 1927 Prairie cottage in Winnetka Heights and completely transformed it. 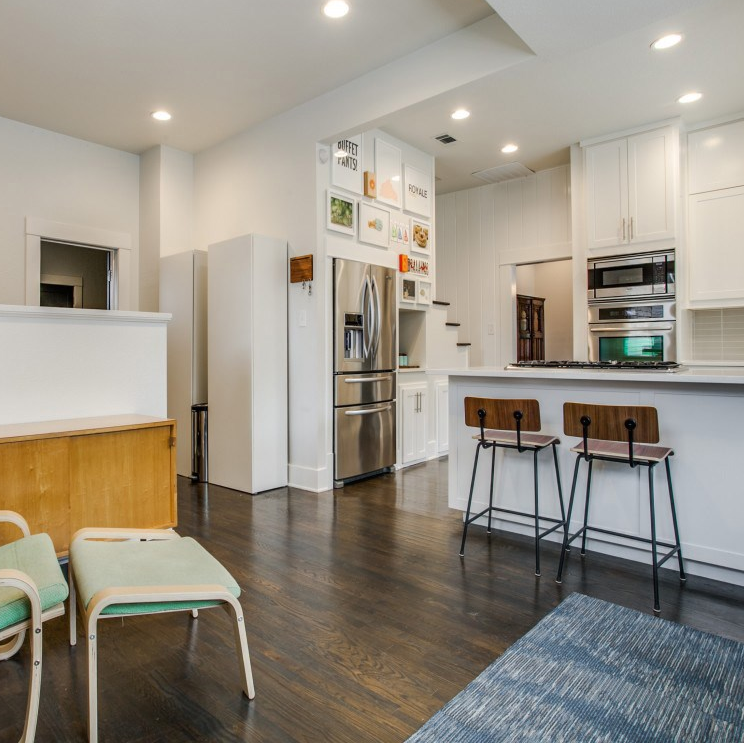 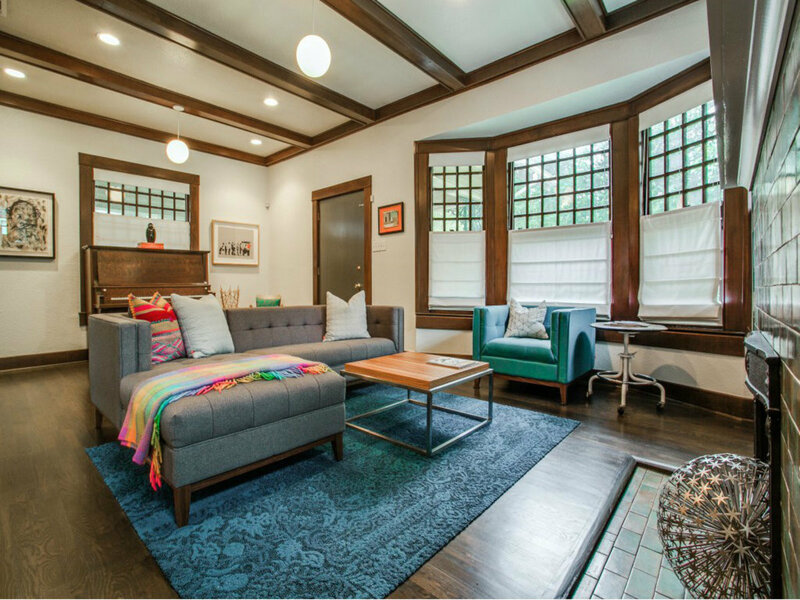 Now, a lucky buyer can reap the benefits of their hard work and nab this move-in ready cutie at 110 N. Edgefield Ave. in this hot neighborhood. 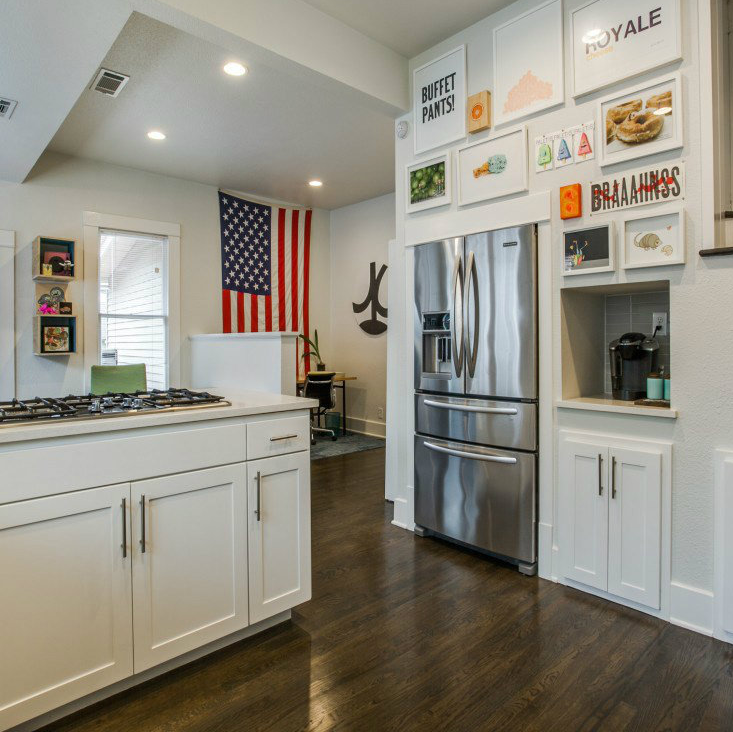 The duo behind this adorable home is J.P. and Erin Hossley, who own the Bishop Arts store Neighborhood, where they serve up architecture with a side of design at their “design bar,” much like a coffee shop serves up lattes and macchiatos. 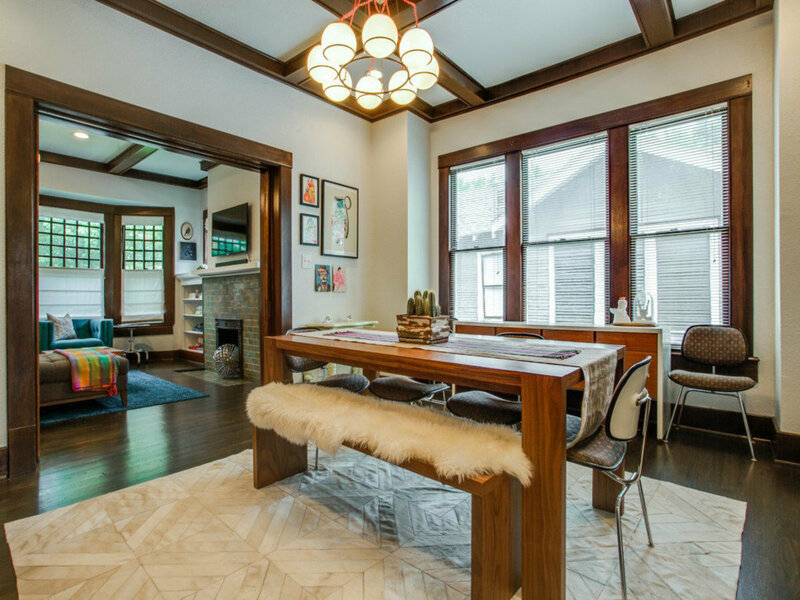 With more than a practiced eye, the Hossleys took the 1,858-square-foot, two-bedroom, two-bathroom abode and transformed it into a whimsical home full of character. 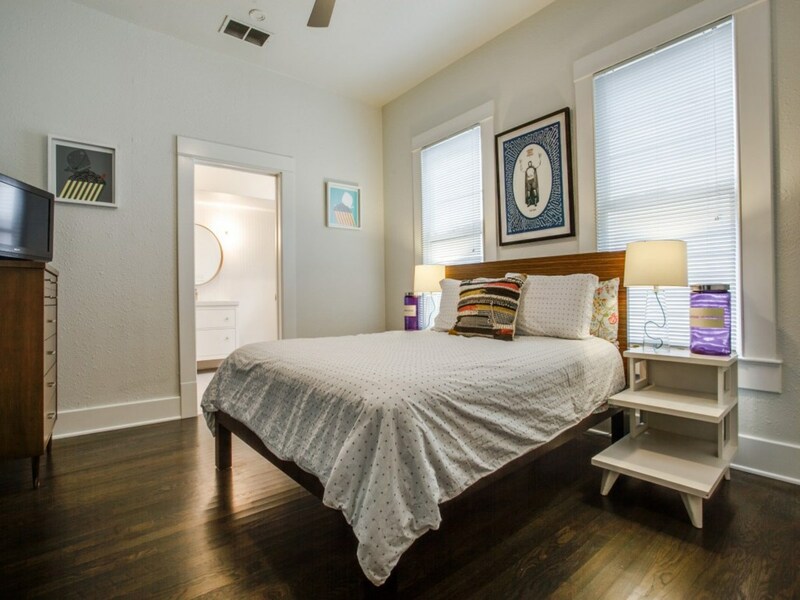 The foundation was redone, and new electrical wiring and fixtures from Schoolhouse Electric were installed. 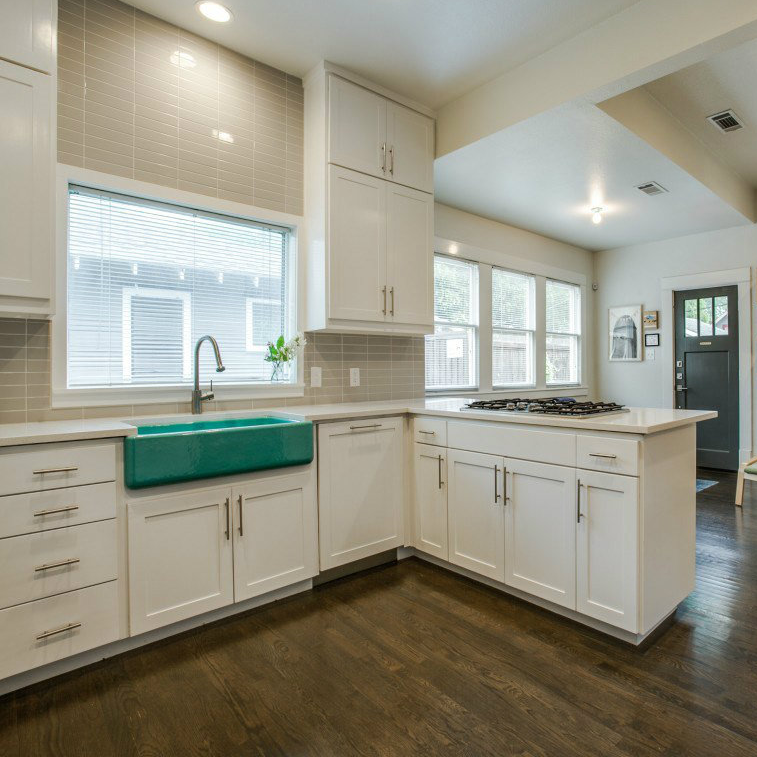 All the plumbing was updated, including the addition of a tankless water heater. 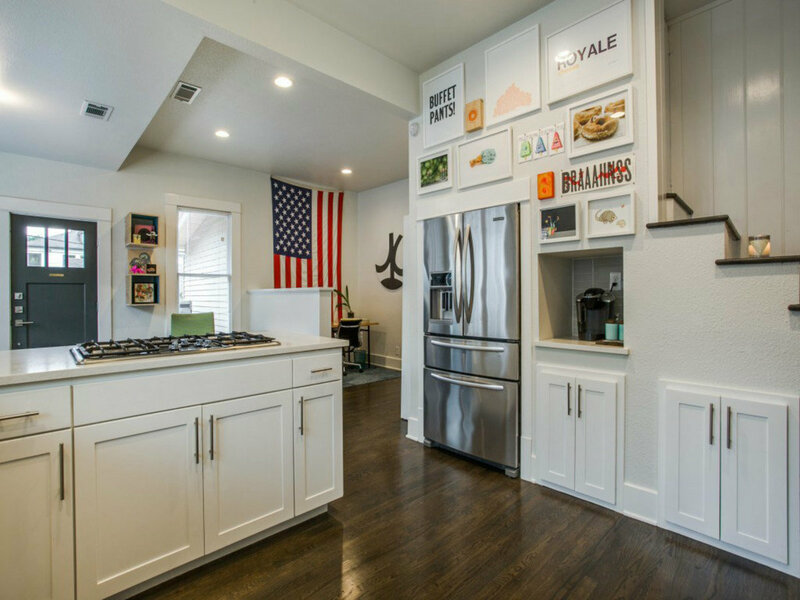 This allowed the couple to capture wasted space in the kitchen and provided a new home for the refrigerator. 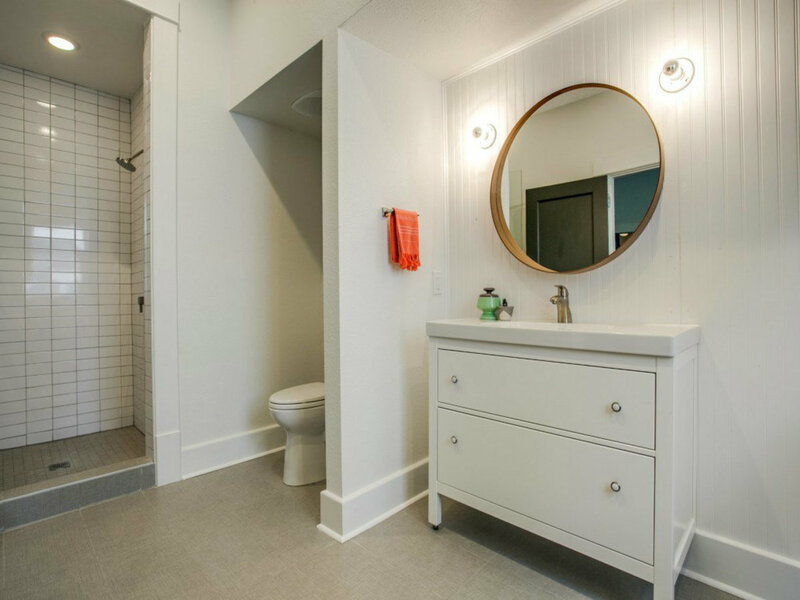 “We can run five different plumbing fixtures all at once,” J.P. says. 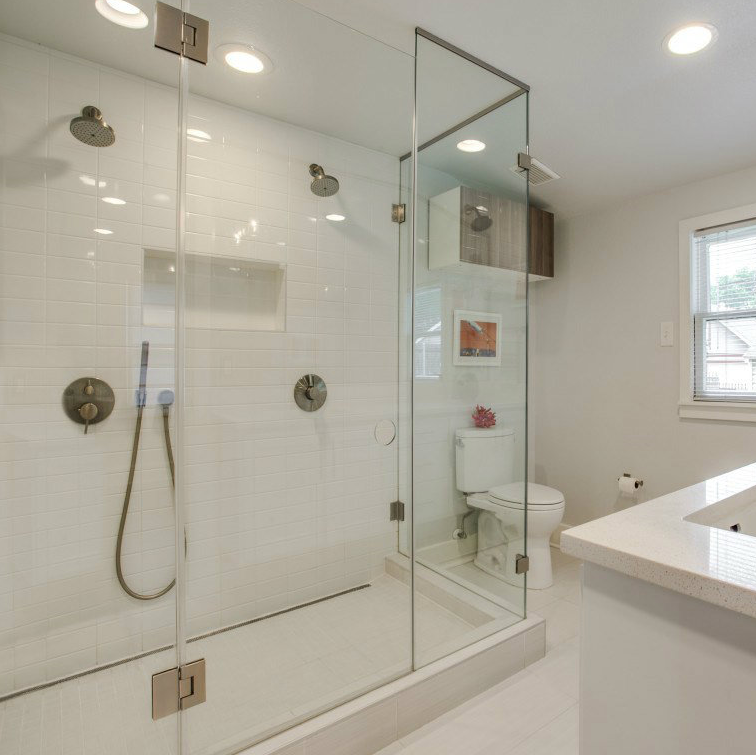 If you’ve ever run out of hot water in the middle of a shower, you know this is an important feature. 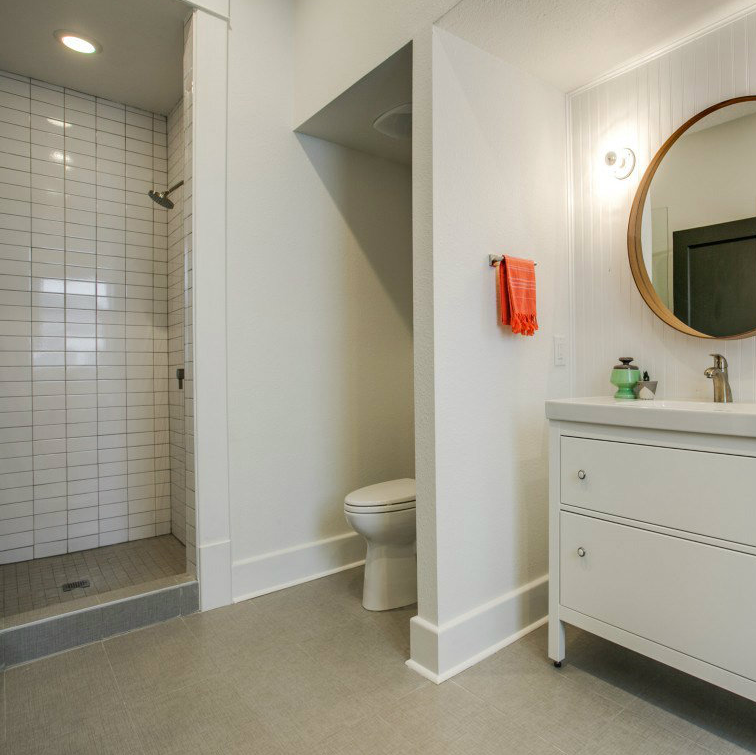 Fixtures in both the bathrooms and kitchen are top-of-the-line Grohe. 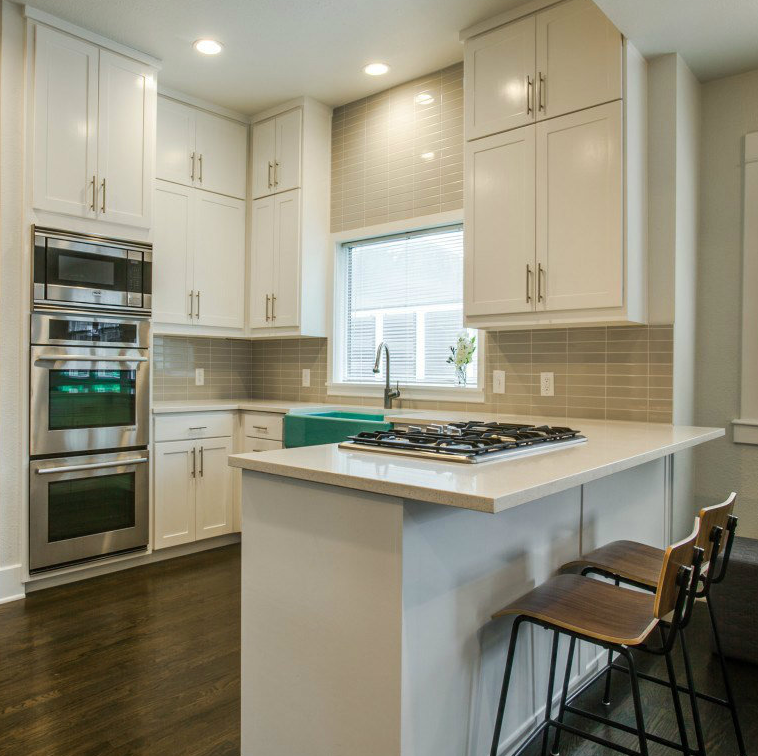 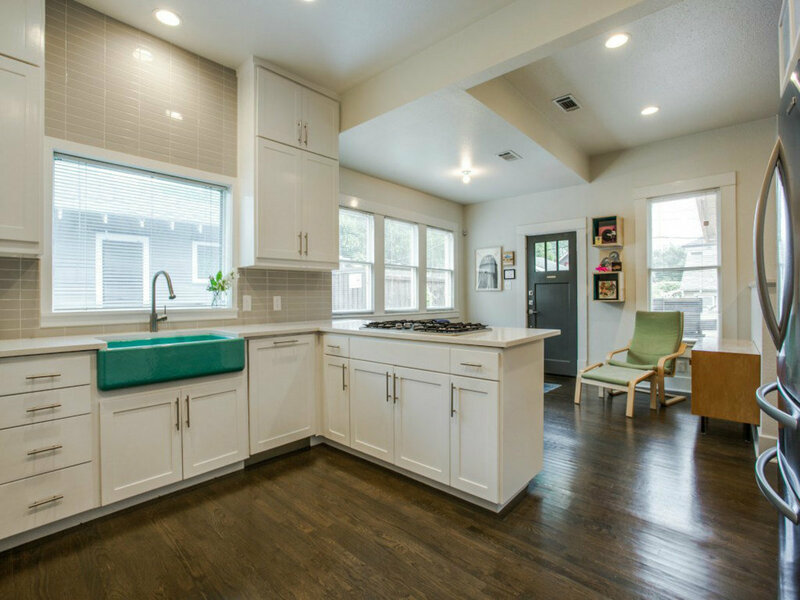 The turquoise sink stands out against the white kitchen, which features quartz countertops. 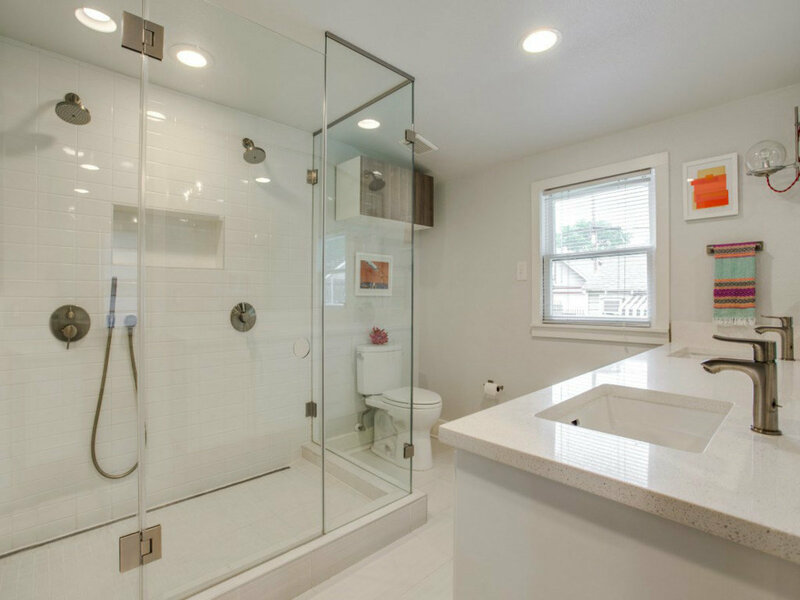 The quartz continues into the bathroom, where the couple installed a double shower, or “party shower” if you will, along with a double vanity. 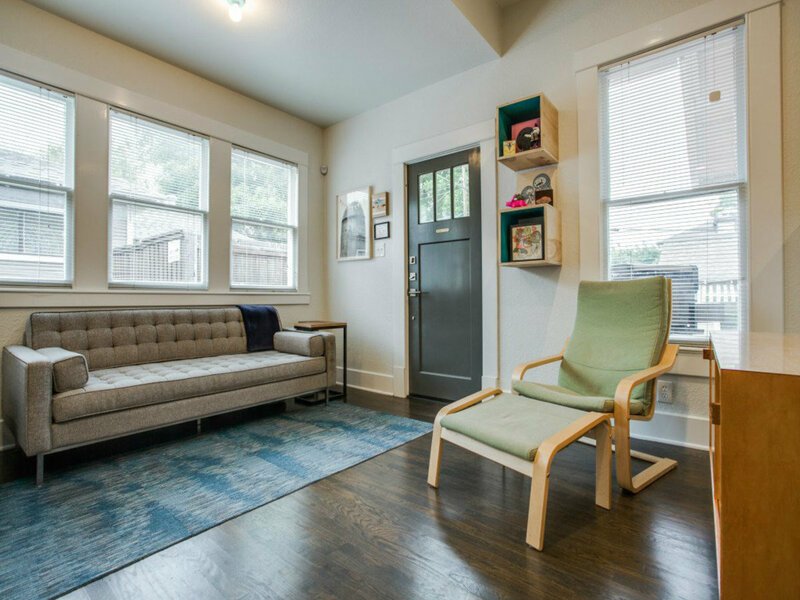 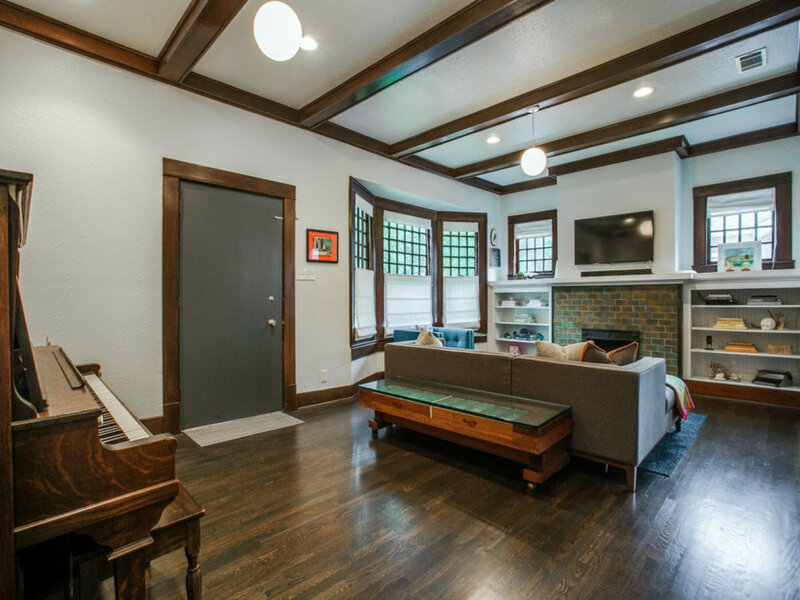 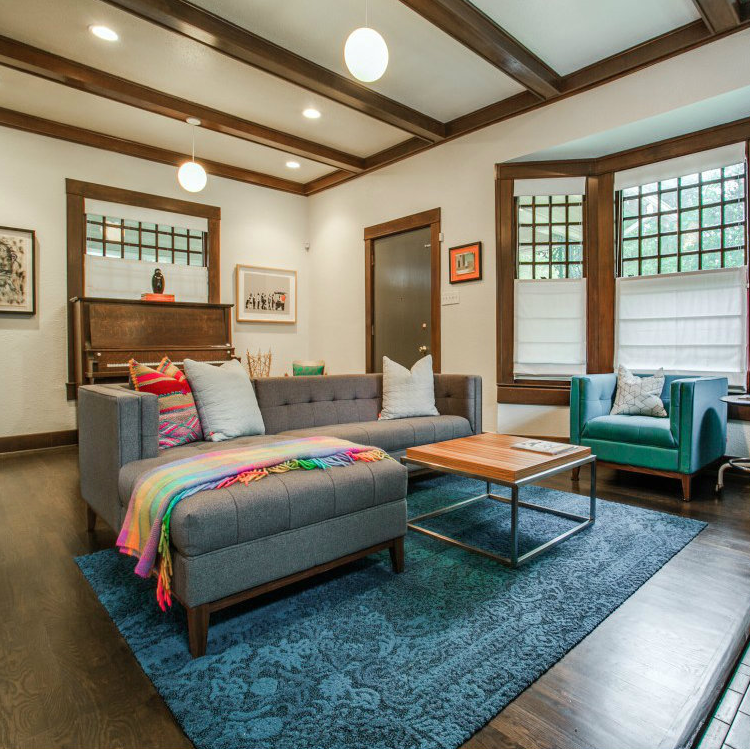 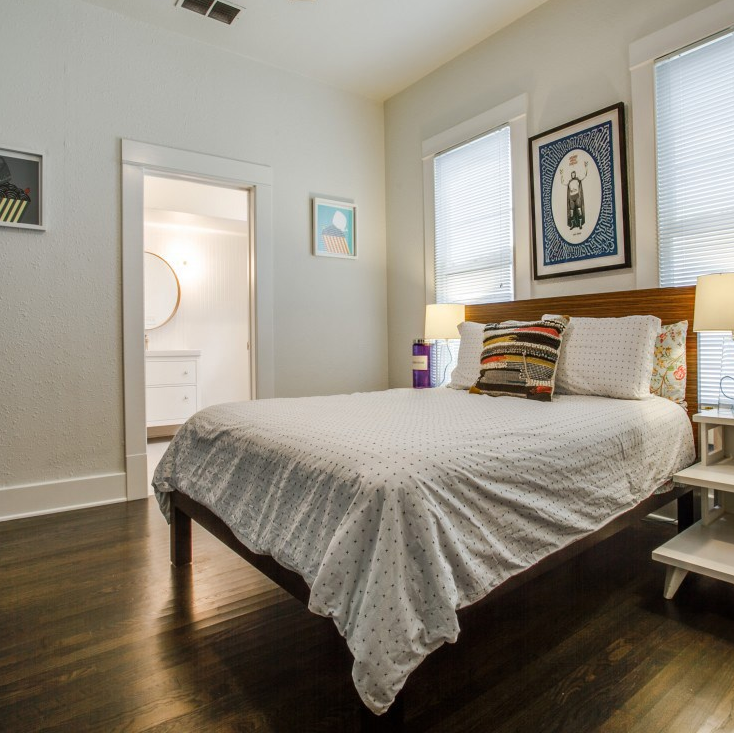 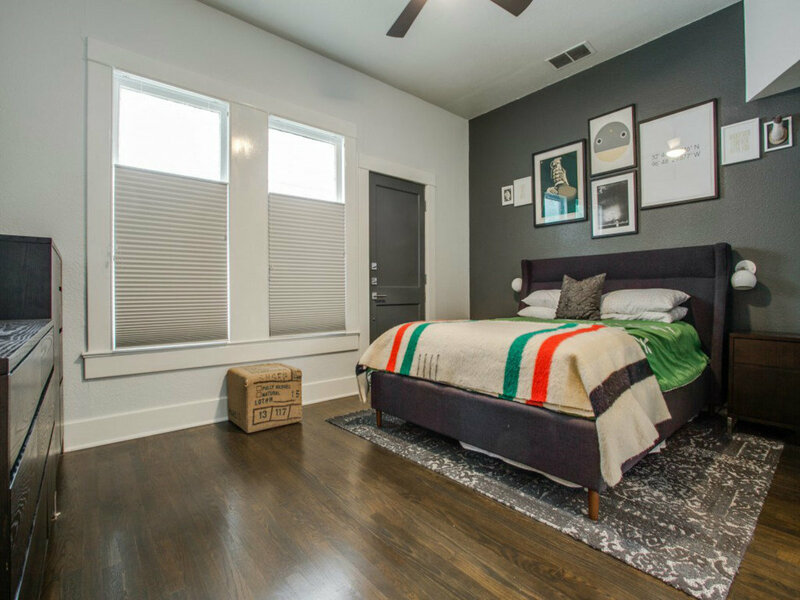 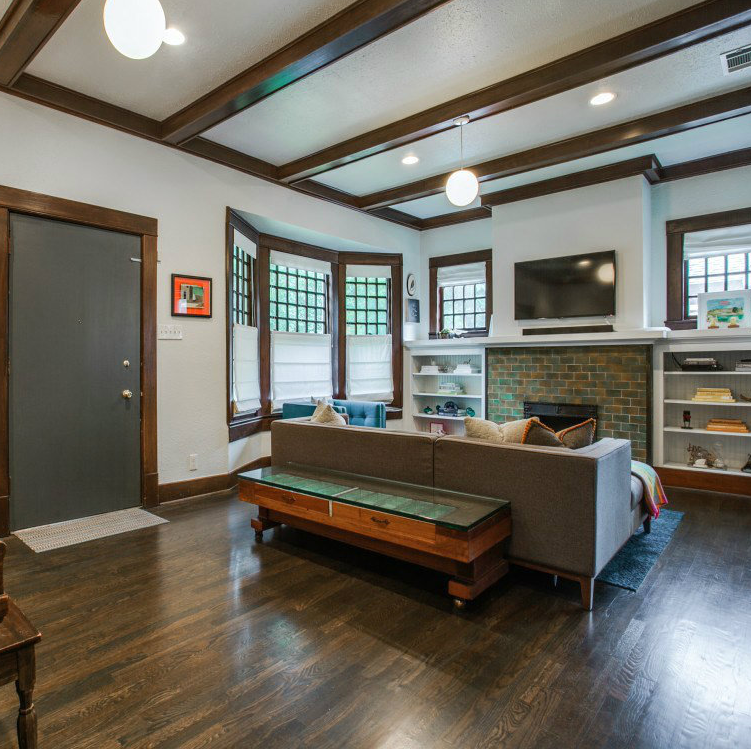 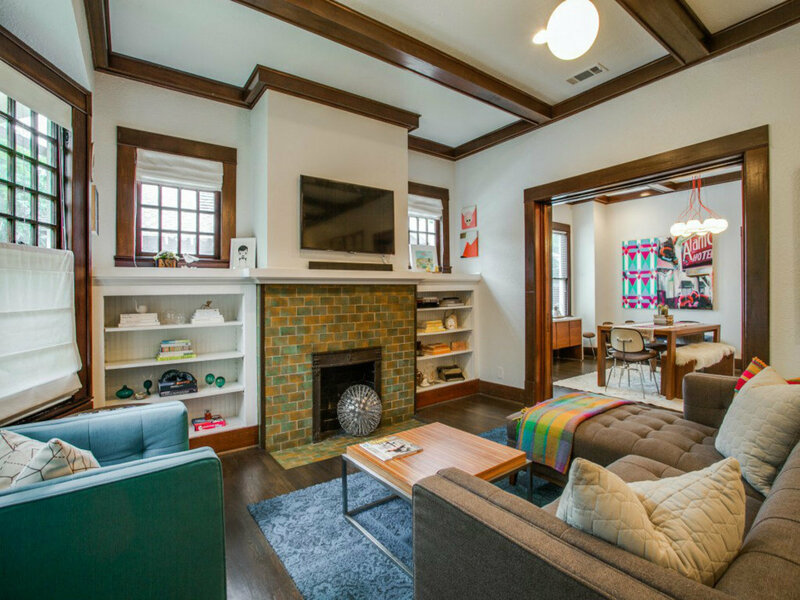 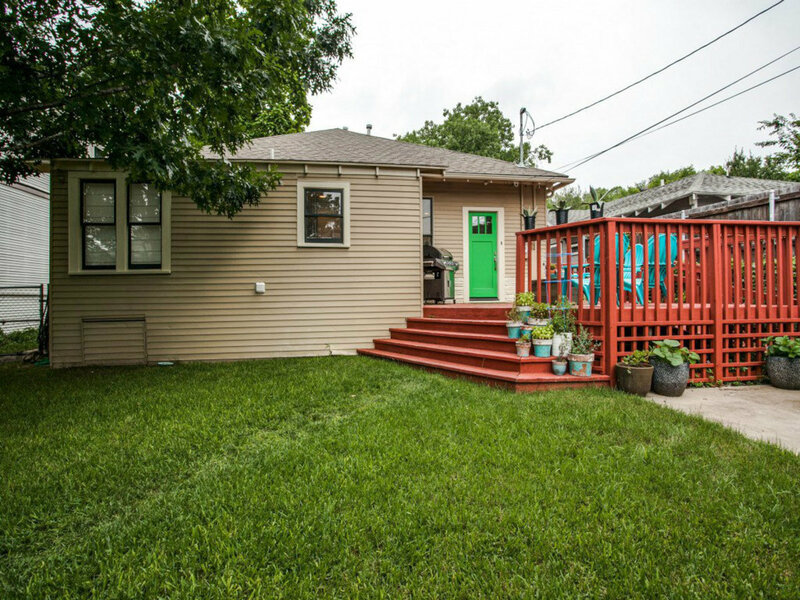 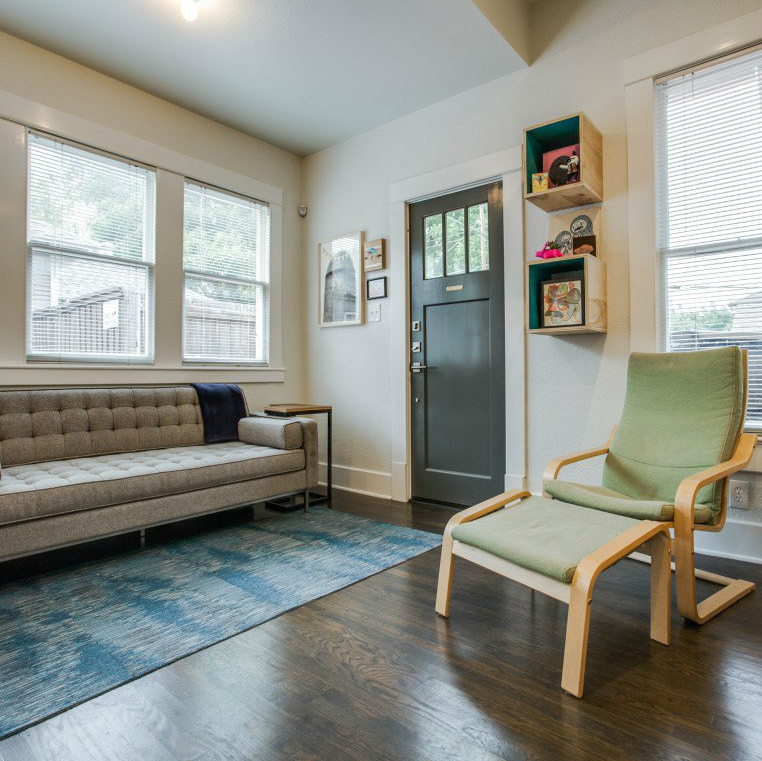 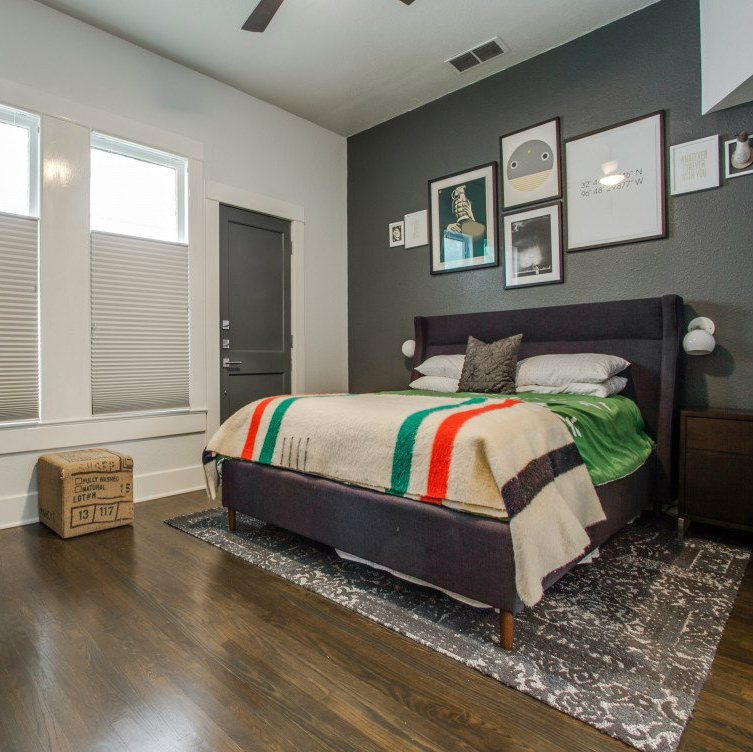 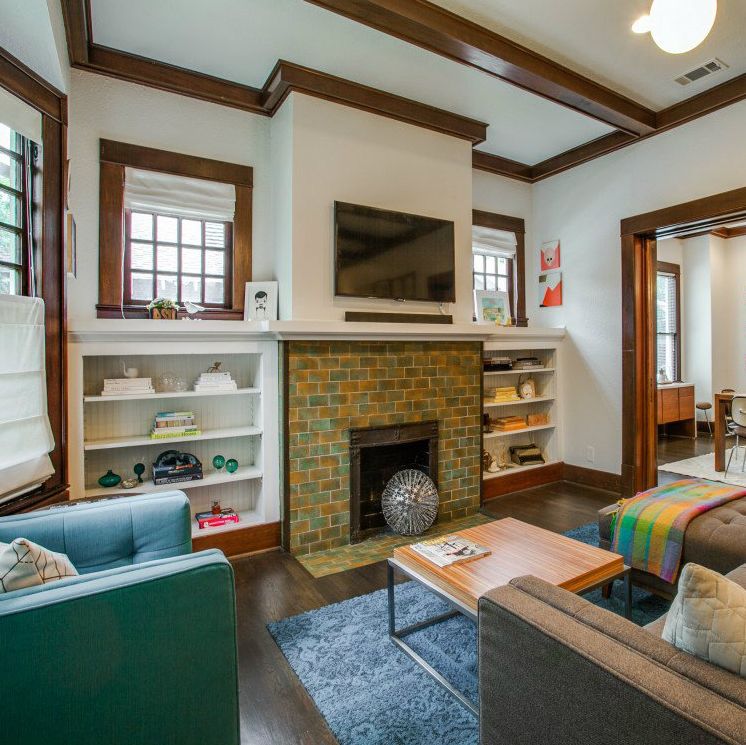 If you need more reason to run over to Oak Cliff today and put down earnest money, there’s also an adorable 350-square-foot guest cottage on the property, with a full bath and kitchenette. 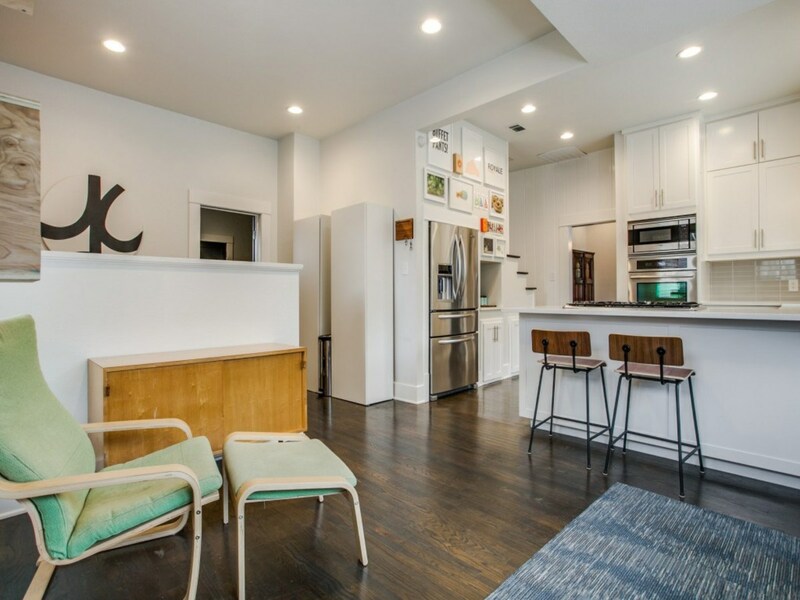 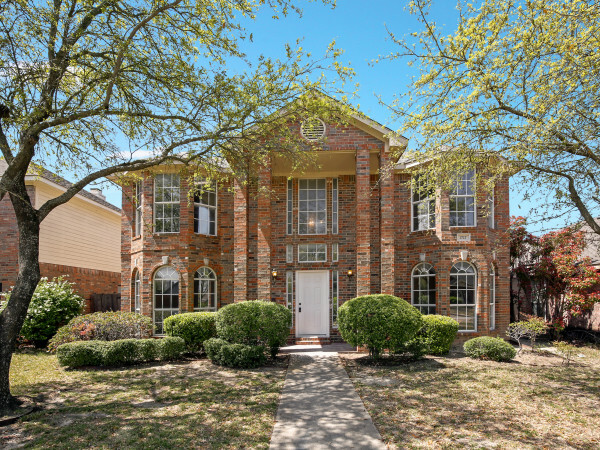 You can easily offset mortgage payments on this $475,000 beauty with a full-time renter or use the property as an Airbnb rental. 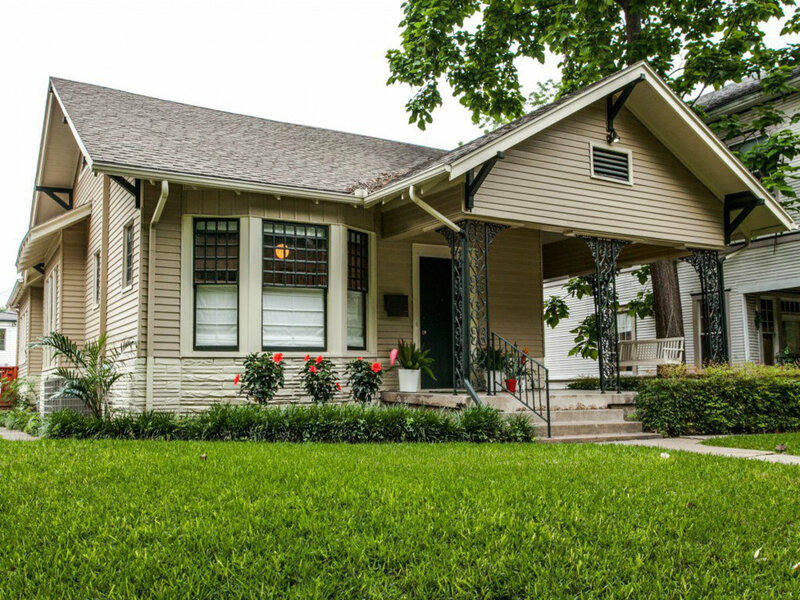 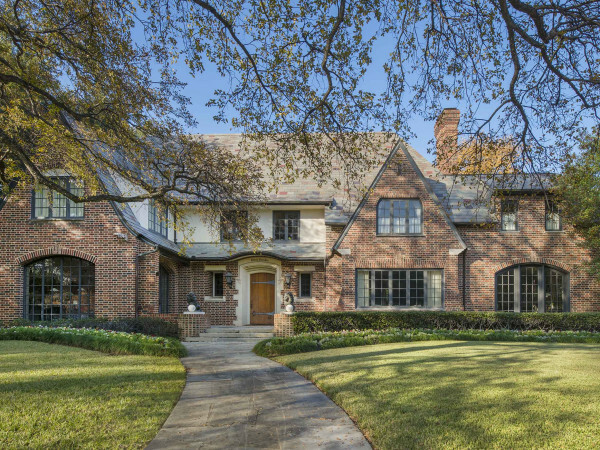 One of the oldest neighborhoods in Oak Cliff, Winnetka Heights is a designated historic district and has one of the most impressive collections of turn-of-the-century homes in Dallas. 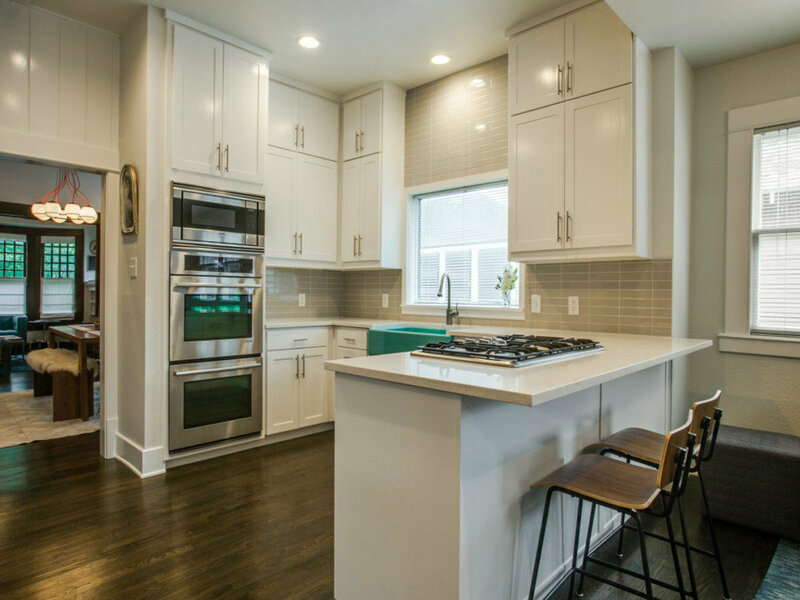 It’s within walking distance of the Bishop Arts restaurant and shopping scene and minutes from Stevens Park Golf Course. 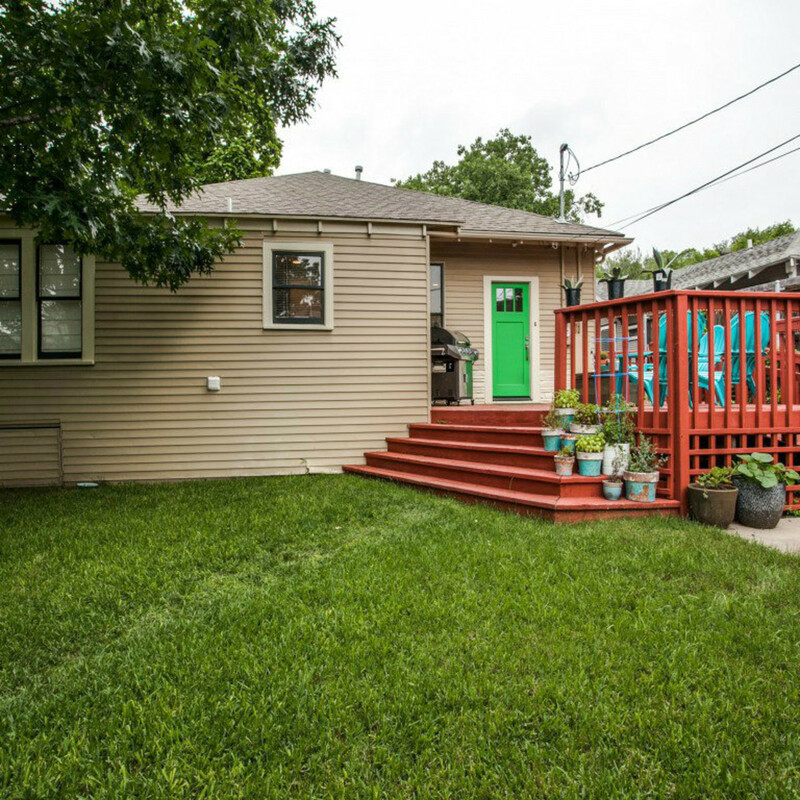 If you have kids, there’s an extremely involved PTA at Rosemont Elementary, and W. E. Greiner Exploratory Arts Academy is a hop, skip, and jump away. 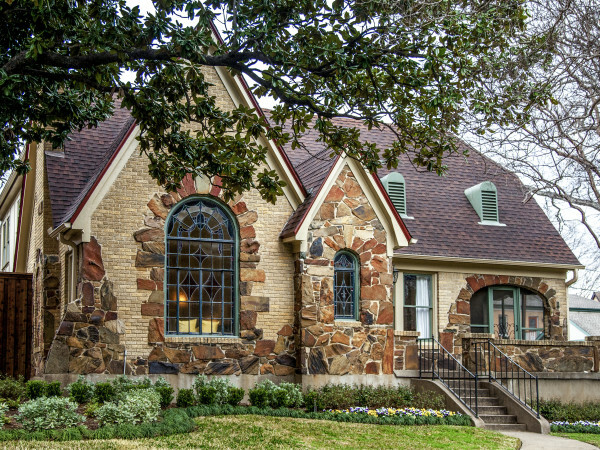 Listing agent is Paul Kirkpatrick with David Griffin & Company. 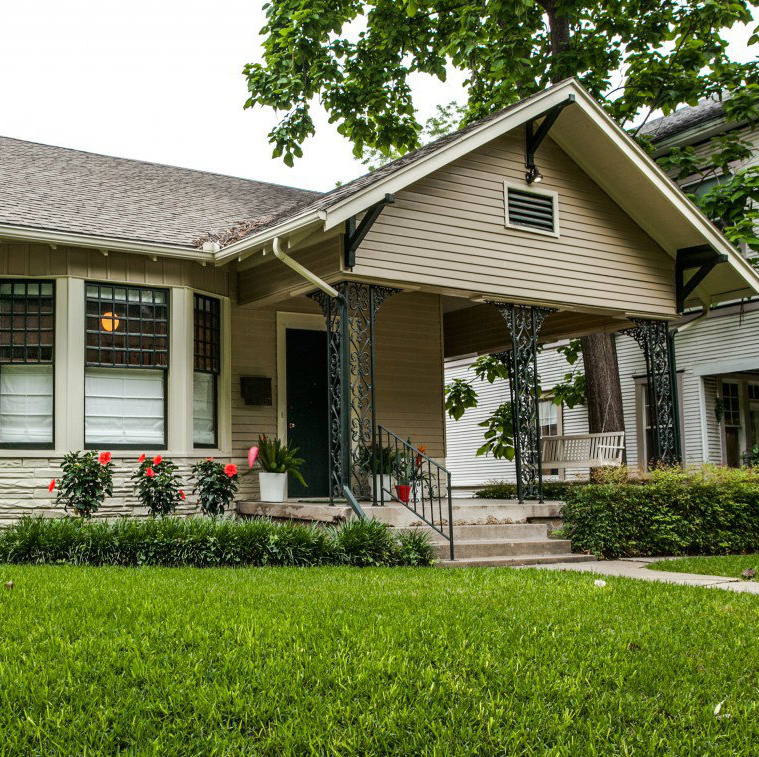 A version of this story originally was posted on Candy's Dirt.